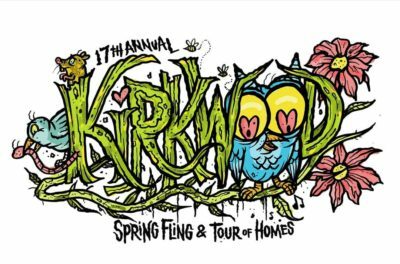 See why Kirkwood residents love their neighborhood at the 17th annual Kirkwood Spring Fling Festival & Tour of Homes! Downtown Kirkwood | 8:30 a.m.
Start the weekend off with the Festival 5K, stroll through the artists market, and catch some live music! Kids can work up an appetite at the kids area before enjoying delicious food from local vendors or at the BBQ competition. 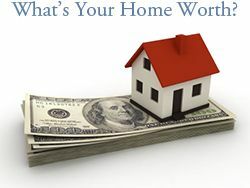 Admission is free, and all ages are welcome! 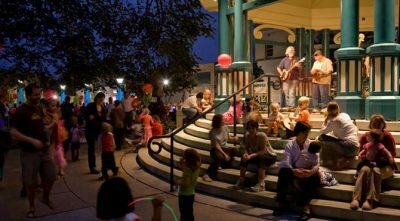 On Saturday evenings throughout May and September of 2019, Decatur presents Concerts on the Square! The live music series is held every Saturday on the Old Courthouse Square in Downtown Decatur, beginning each evening at 7:00 p.m. 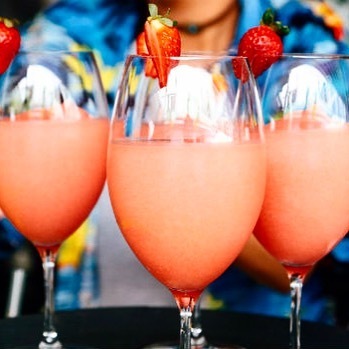 Unwind after a long week and bring your friends and family along to enjoy the beautiful evenings of late Summer and early Fall. Set against the scenic backdrop of the Community Square, the concert series is a great time to pack a picnic or purchase a delicious meal from a nearby restaurant while enjoying the live performances from a variety of artists each week. 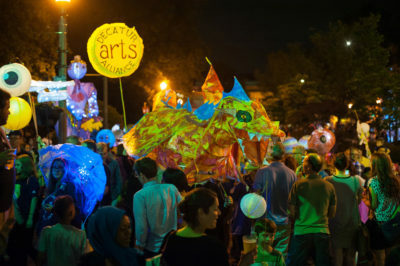 The Decatur Lantern Parade invites you to light up the night! Kick off the Decatur Arts Month and celebrate summer by parading to the downtown square in Decatur alongside the Black Sheep Marching Ensemble. Line up at Color Wheel Studio at 508 E. Howard Avenue after 8:00 p.m. to parade to the downtown square at 9:00 p.m.! 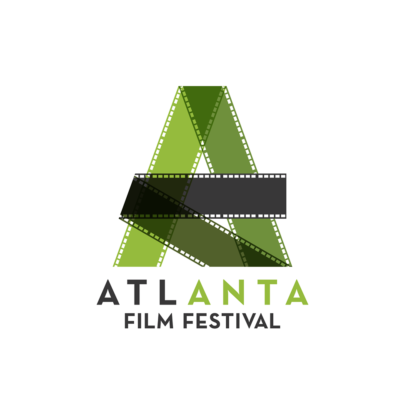 The 2019 Atlanta Film Festival (ATLFF) returns for its 43rd annual celebration! The 10-day event will feature over 200 films, an incredible Kickoff Party, Writers Summits, and more! The annual Springtime tradition is one of only two dozen Academy Award-qualifying film festivals in the country. The 2019 festival has received over 8,000 film submissions from around the world. Audiences will gather to experience the most cutting edge films across independent, international, documentaries, animated, and short film genres! 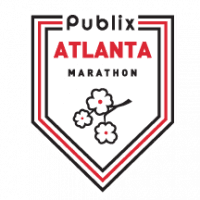 One of the southeast’s premier distance events, the Publix Atlanta Marathon, Half Marathon & 5K return to celebrate the 13th running of the Atlanta tradition! 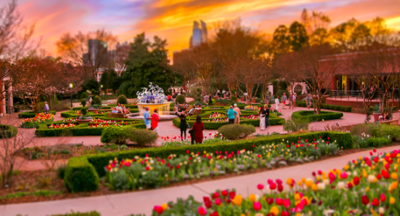 With a new name for 2019, the Publix Atlanta Marathon, Half Marathon & 5K will showcase why the city of Atlanta it one of the nation’s greatest running destinations! Ring in Spring and celebrate Easter with Fernbank Museum at Little Critters Day! Atlanta Streets Alive returns once more to take over the streets of Atlanta. Get ready to explore your community streets in a safer, healthier, more livable way! Closed to motorized traffic, the Central route celebrates Atlanta’s Peachtree Street, from South Downtown through the city to Midtown. Don’t miss out on the last Atlanta Streets Alive of 2019! 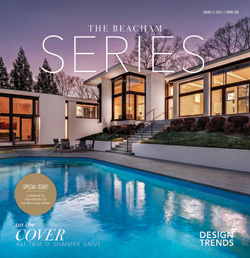 The fun event celebrates Atlanta’s signature Peachtree street and a 3.1 stretch from Downtown to Midtown, which has been selected as one of the top five neighborhoods in the country by the American Planning Association.